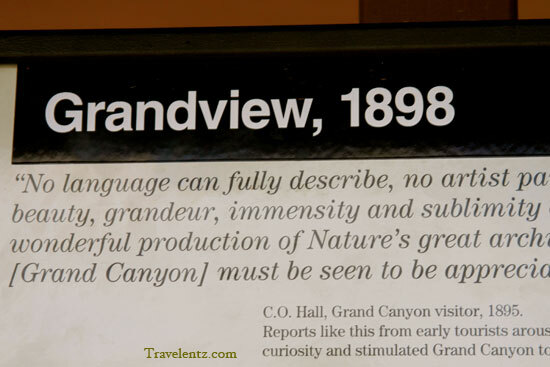 Our day in Arizona Grand Canyon were a great experienced. 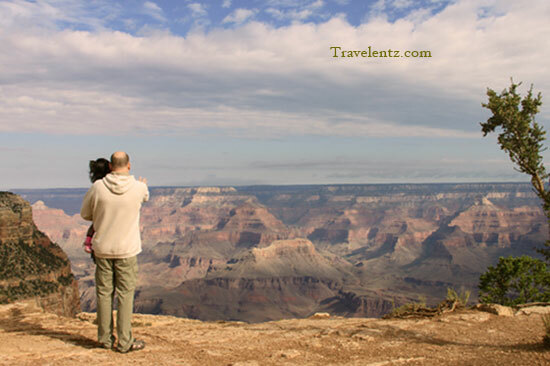 Travelentz decided to drove around the South rim Grand Canyon where you can see the spectacular view. Pictures doesn't justify the beauty of natures until you're there and amazed us the true beauty of Grand Canyon, experienced it and you will understand why Grand Canyon is worth to visit once in a life-time. Our first stop in south rim point view to Grand Canyon. Our first stops is at the Gate of the National Park of Grand Canyon, and paid 25 bucks for 7 day passes, they gave us a map of the Grand Canyon.We drove along the rim to see the different view of Grand Canyon. Some Photos I took during our visited. 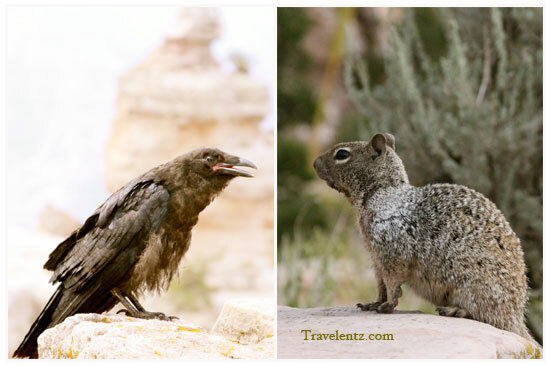 Some animals you can see in The Grand Canyon. No pictures can describe how amazing is The Grand Canyon.Experience it. 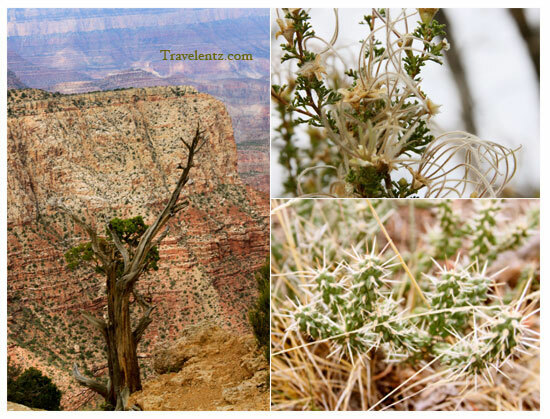 Some Plants you could see around the Grand canyon. a. Hiking-A popular way to get to the bottom of the canyon is by hiking.Be prepared bring lots of water and wear a hiking shoes. Always stay in the trails. You can hike and use the trail to go down and see closer the Colorado river." 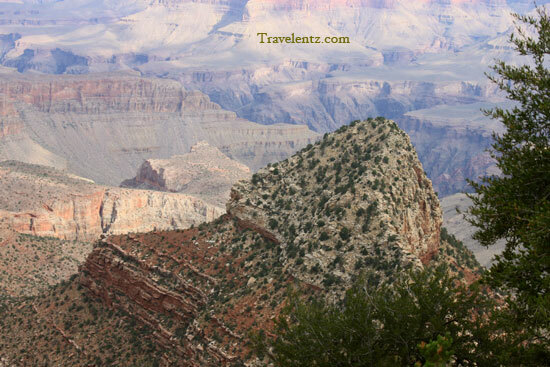 The north rim of the Grand Canyon rises about 1,200 feet higher that the south rim. The highest points on the rim are about 9,000 feet above sea level." b.Driving around the rim of Grand Canyon- is your chance to see some different spectacular view. c. Camping- is possible in some campsites located around the park including the Mather Campground, Trailer Village, and Desert View Campground. You have to pay in addition to the park entrance fee. those are beautiful shots Mhie, and love the first picture with your family enjoying the grandness of the canyon. stunning captures. thanks for sharing. i just hope i could bring my family there for a vacation. not necessarily at the grand canyon though.. just kidding. Such a magnificent place and wonderful shots, Mhie.. I have a friends who's been to Grand Canyon, and she said that there's magic in that place that captivates you. I wish I can set my feet on that place someday. 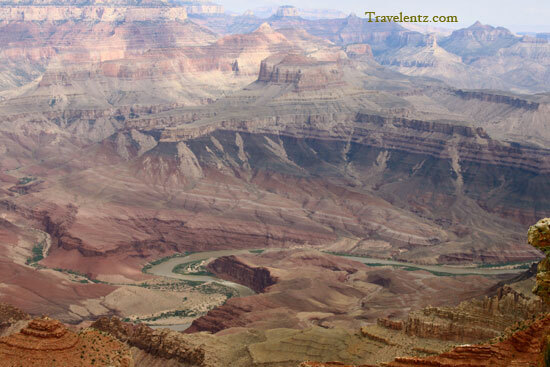 I've done lot of researched about the Grand Canyon, and I truly agree , that place is a must one to see!!! Photos will just be a speck of a sand if we will gauge the true beauty of GC..
breathtaking views...I would love to go there again...amazing! OW I know how beautiful Grand Canyon is because we went there twice. The beauty of Grand Canyon is amazing cannot imagine how it happened..